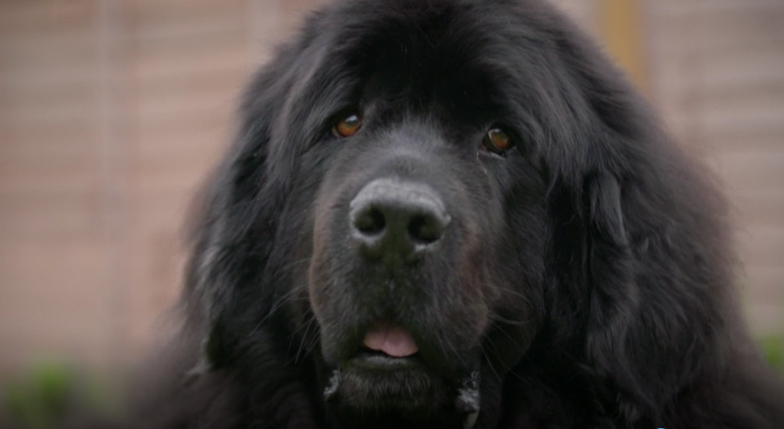 An urgent case is directed to Professor Noel Fitzpatrick when an 8 year old Newfoundland called Iver is rushed to Fitzpatrick Referrals after collapsing in the back garden and having problems moving. His family love him to bits and want him to live life to the full in his twilight years but they’re worried he may have cancer. Newfoundlands are one of the largest canine breeds and have a life expectancy of 8-10 years… the family fear the only solution is to have Iver put to sleep. 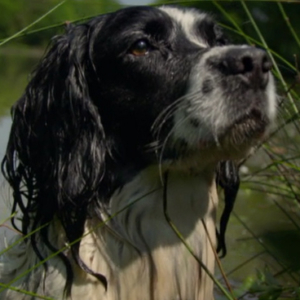 They seek the help of Noel and the team at Fitzpatrick Referrals in a last resort to give Iver a chance. 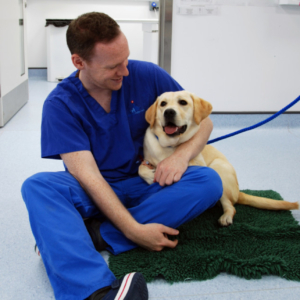 Prior to his referral, Nicola and Dan took Iver to visit her local vet after he collapsed in the back garden. The situation became serious when Iver woke up one morning howling in pain, limping and suffering an inability to move his head. The family feared he was suffering from a slipped disc or a bone tumour… within 24 hours, Iver was in Noel’s consult room for further examination. and any injury to the neck. After both an MRI and a CT scan, the team realised that the issue was thankfully not cancer but a very badly damaged disc in his neck that was squashing his spinal cord and nearby nerves. The family faced a big decision about whether to operate. The family decided that even though Iver was an older dog, they wanted to do the right thing for him to give him a happy and comfortable life for what remained. A custom-made implant was made for Iver, and Noel undertook the major spinal surgery to remove the damaged disc from his spine. Firstly, Noel removed the damaged disc by making an incision through his neck. The disc was in a dangerous spot near the entrance to the chest – bleeding would be likely and collagen was used to prevent this. 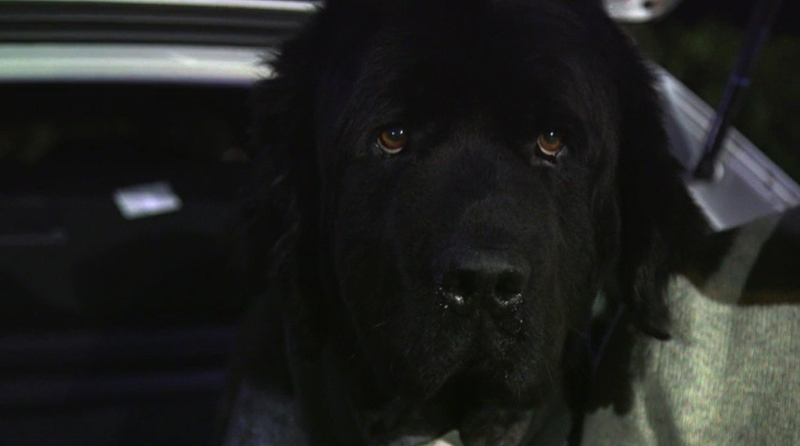 Due to the size of Newfoundlands, Noel had to use two spacers to spread the vertebrae near Iver’s spine apart and allow the spinal cord to recover. To secure the spacers in place and prevent the vertebrae from collapsing around them, Noel inserted a custom made link plate based on the CT scans of Iver’s neck. He then packed bone marrow taken from Iver’s shoulders around the vertebrae to help them fuse together. Iver recovered from the operation phenomenally and was walking within a week. Nicola and Dan were ecstatic that he’d been given another chance and the young girls were even more ecstatic that they had their playmate back.